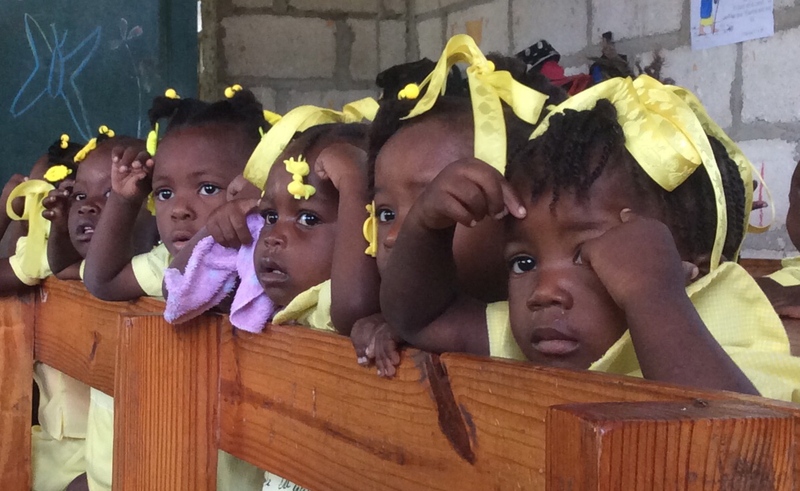 Today was the best of the best – we got to observe the little ones – three year-old pre-school to kindergarten! Of the 400 kids in the school, 91 of the students fall into this catagory. They have their own space in a seperate building on the school’s property. 3 year-olds – So young! Hard to keep your eyes on the teacher when there is a distraction in the room. Carla and Natacha were that distraction! The students at the Christian Academy of Docine pay a small fee to attend for the year, but the major cost of keeping a school like this running depends on the generosity of people in the US. 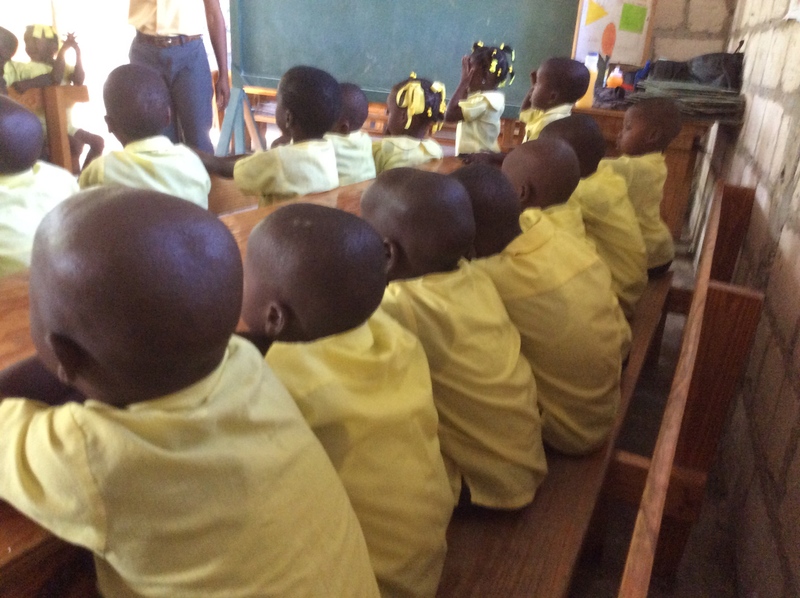 The school is a part of the mercy ministry of Living Stones Reformed Mission who has a sponsorship program called ‘Haiti LoveOne Project’. A $35 dollar per month donation can be given through Mission to the World to sponsor one of these students. Each child receives one hot meal each day, school supplies, uniforms, potable water, medical care, and a quality Christian education. More information can be found at http://lsrmhaiti.org/ . Today I was able to connect to the child our friends Julia and Wayne sponsor. These are real children with a real need.